In an effort to catch-up on the last five months, I’m going to try working backwards, starting with recent food adventures and traveling back in time. Last week when the parents came for a visit, I was craving Korean food. 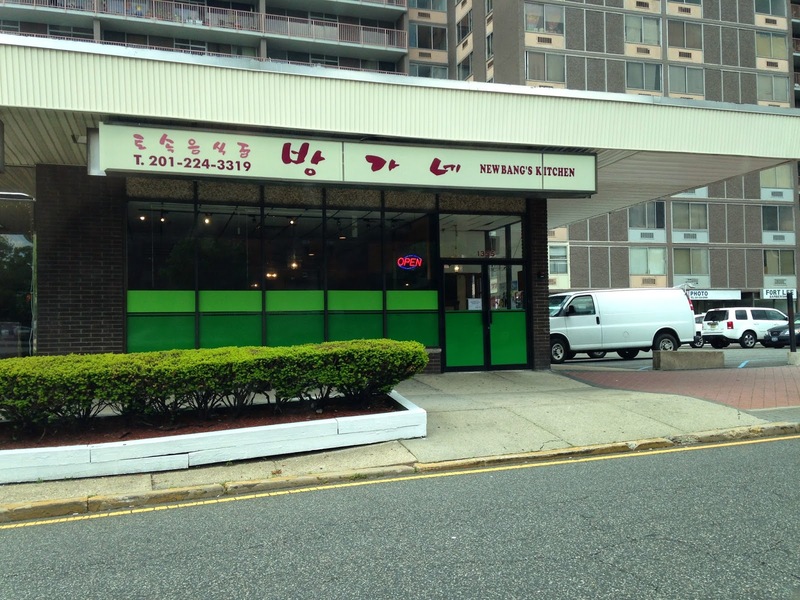 So I Yelped my way thru NJ and found an home-cooking joint called New Bang Kitchen. It’s a funny name because in Korean Bang means room, so it’s like New Room Kitchen. Or maybe Bang is someone’s name. It also made me wonder if there was an Old Bang's Kitchen before it. We arrived around 1pm on a Sunday, but there were hardly any guests. The front door sported a Satisfactory sign, which made it look a little sketchy. Nonetheless, we walked into an old school eatery that looks like someone’s kitchen. An ajumma greeted us and showed us the menu. I tried to ask her the special using my broken Korean, and she suggested us to order at least two orders of their famous black goat soup. For four people, we ordered the seafood pancake, one order of black goat soup, and one samgyetang (ginseng chicken with stuffed sticky rice). 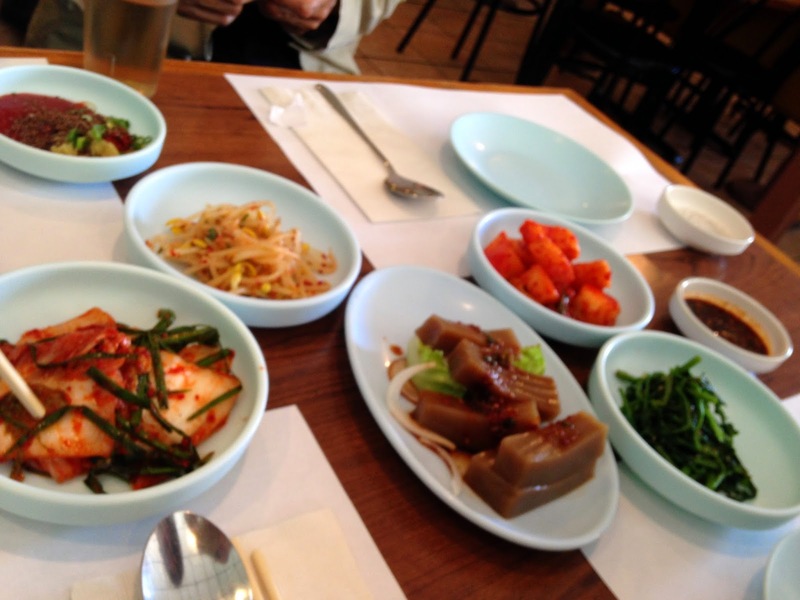 The panchan that came in a loaded circular tray was plentiful, including their own kimchi marinated with green onions. 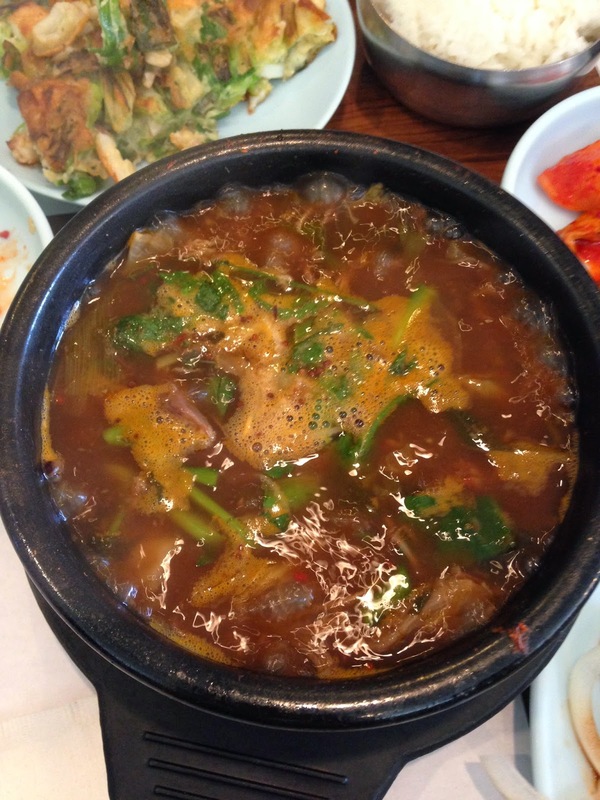 It was refreshingly flavorful, with a burst of spiciness that left a sweet aftertaste. The soy beans were light and fresh, while the radish provided a good kick of spice. The grass jelly was all-right, though I’m not a fan of it. 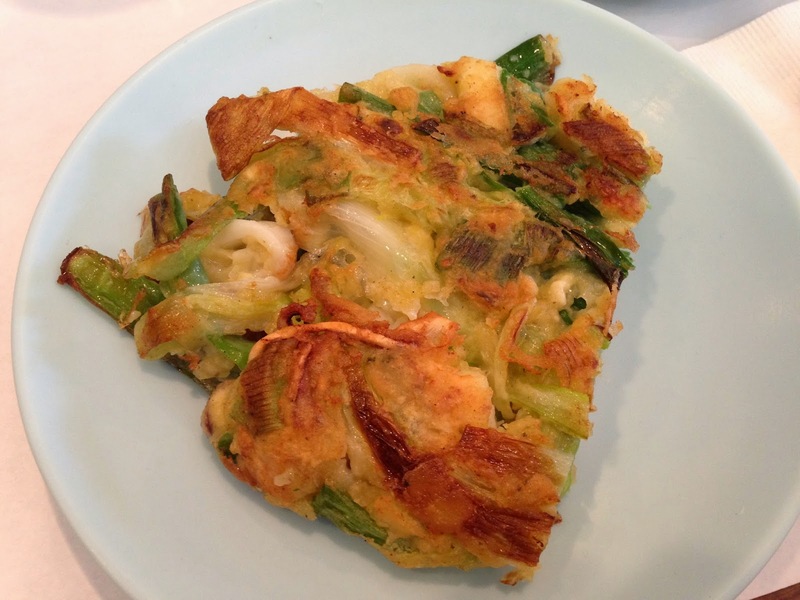 Next came the seafood pancake. It was huge and thick and piping hot. The ajumma cut it for us and left the rest. It was just the right amount of gooey-ness, with an abundance of seafood. The squid was cooked soft and chewy, which made it much more enjoyable. I dipped mine in the spicy sauce, but it was too much laden with soy sauce that made it taste like a pancake drenched in soy sauce. 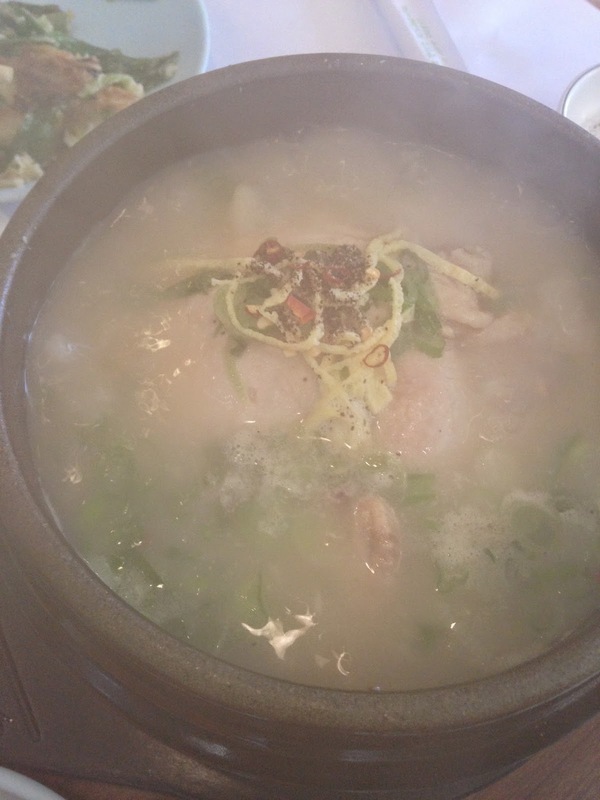 The samgyetang came with a young hen stuffed with sticky rice. The soup itself wasn’t flavorful, but that’s alright because my dad can’t eat spicy food. It comes with a dipping sauce for people who need an extra kick. 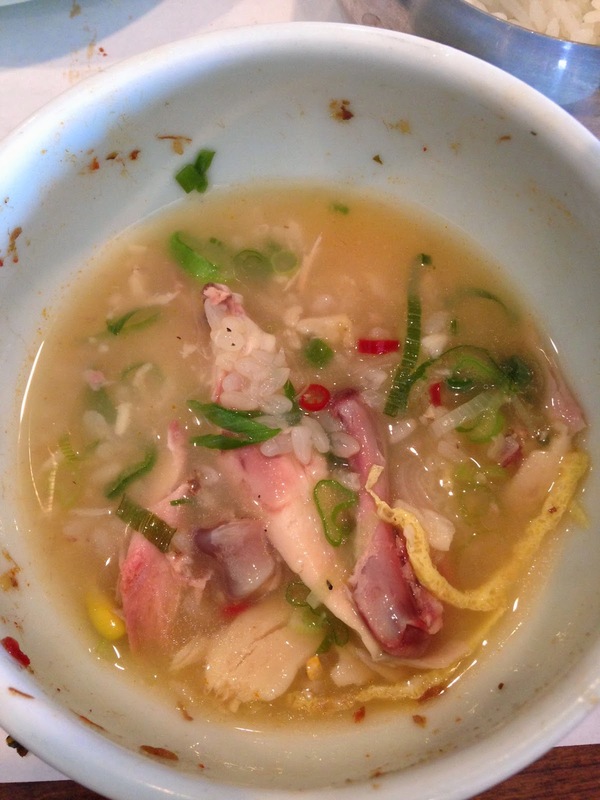 This soup is good for the summer and for people recovering from colds, providing a boost of yang to the yin. 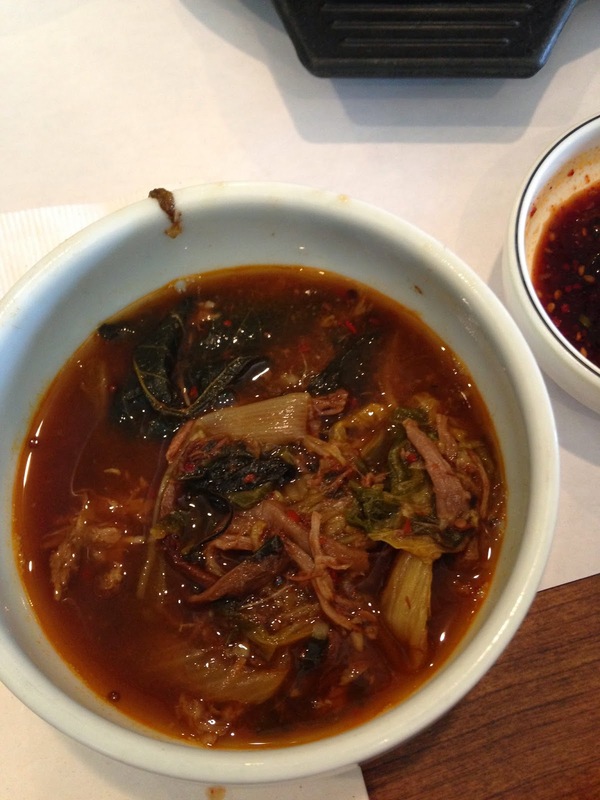 The black goat soup that Yelpers were raving about actually tastes more Middle-Eastern than Korean. There’s a medley of spices that make it strong, the biggest being something that tasted like parsley. I would have liked it better if they could lessen the spices and added more pepper to make the taste simpler. Nonetheless, hubby loved this dish and devoured it. The black goat soup comes with a dipping sauce with black seeds on it. I used the sauce for the chicken that was a bit bland. Though we only ordered 3 dishes, it was enough for 4 people and then some. Both the black goat and chicken soup tastes great with rice. The black goat sauce tastes great with rice because its tangy and sweet, kind of like a Korean sweet + sour sauce. Overall, it was a pretty authentic meal. The ajummas kept on checking up on us (especially after hearing we weren’t Korean) to make sure we knew what we were doing. They refilled all the panchan that were empty, so we had a second helping of their delicious kimchee. The other patrons all seem to be regulars, as they greeted the ajummas pretty warmly. For 4 people, the tab came out to be $56 plus tips. Hubby said that although he thought the place was sketchy at first, he enjoyed the meal, which is rare because he rarely likes Korean food. Now that's a pretty good accomplishment - 수고하세요!